The geographical location of Costa Rica makes the country to be located inside the so-called Pacific fire belt, that gathers most of the volcanos of the world. 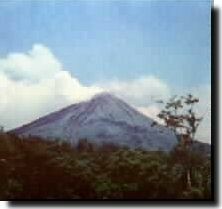 In our country 112 volcanos exist of which 10 have some activity like sulfataras, fumaroles and sporadic eruptions of vapor or lava in some of them. We also have one hundred thirty two craters of impressive characteristic, which is an impressive tourist resource. Our volcanos are covered in their majority of forests and great vegetation like for example the Poás volcano, Irazú, Arenal, etc. 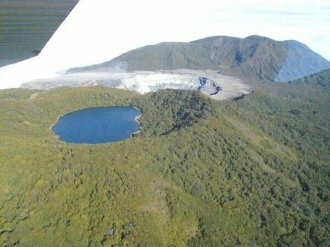 The presence of such a quantity of volcanos in our country is not the cause of the sismic movements but rather these are originated by the subduction of the Coco and Caribe badge. Our country has an extensive sismologic network equipped with modern technology and with an excellent School of Geology. The mountains of Costa Rica, more than those of any other Central American country, offer a special attraction to tourists who love sweeping panoramas and fresh mountain air. No other Central American country has maintained more mountain roads, leading either to the greenery of middle height forests, or rising over three thousand meters, opening into an incredible series of brush-covered peaks presenting a glacial profile of immense geológical and scenic impact. The country’s mountains can be divided into three great ranges: the Talamanca Range, 320 kiometers long, the Central Volcanic Range, 76 kilometers long, and the Guanacaste Volcanic Range, 112 kilometers long. In reality, the mother range is Talamanca, the northern prolongation of the Andes. On the south end of the Talamanca Range, rising in lofty defiance, is Costa Rica’s highest peak: Mount Chirripó, 3,189 meters high. The other two ranges are mainfy volcanic, and all their formations reflect a quaternary volcanism, still active in Rincón de la Vieja, Arenal, Poás, Irazú, and Turrialba. These volcanoes, some of which are national parks and represent some of the biggest tourist attractions in the country, belong to the Pacific Ring of Fire. 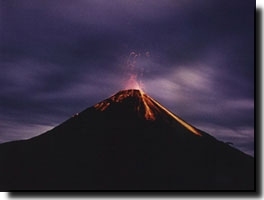 It has been statistically shown that these volcanoes are visited by more tourists than any others in Central America. 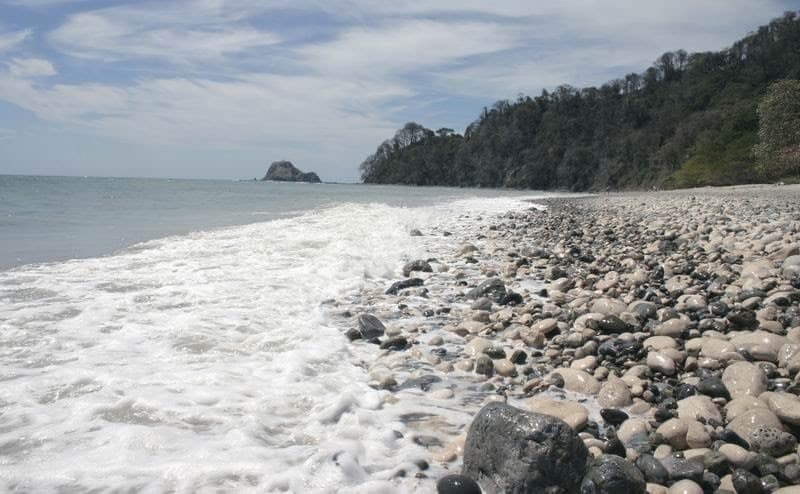 Among then, the most spectacular is Poás, located in a national park of the same name. 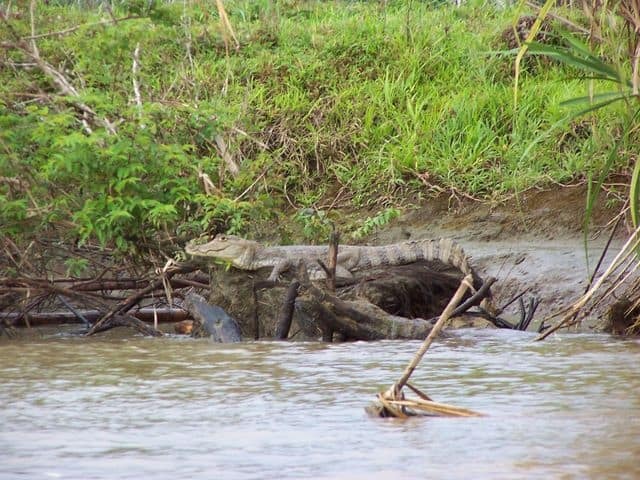 Here one finds the very best example of what Costa Rica’s highland forests have to offer. You can lose yourself in countless acres of virgin landscape. 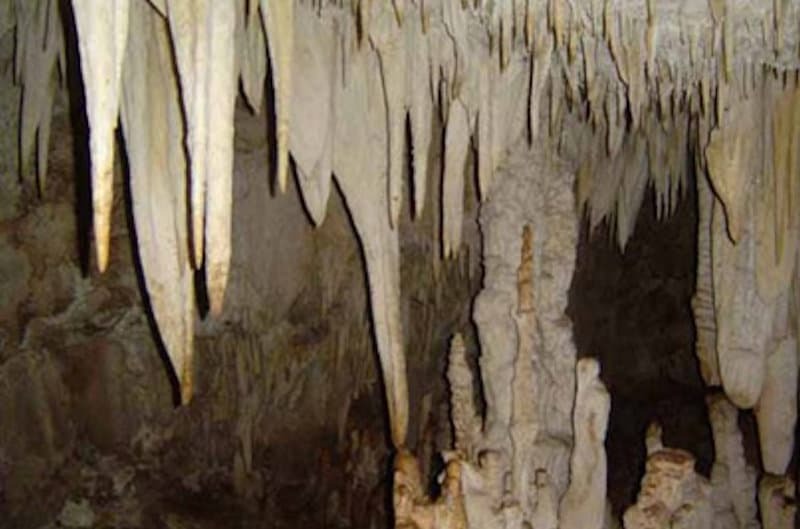 Scientists from all over the globe, inciuding famous vulcanologists like Haround Tazzief, Richard Krushensky, and the Japanese, Murata all concur that Poas’ cráter is one of Latín America’s largest, and perhaps one of the most consistently active. Tourists venturing to the edge of this giant hole are awed by the plutonic scene that unfolds before them, and at times the eruption of magmatic gases, steam and ash that spew forth from the huge mouth sometimes in the form of geysers-overwhelms one with its tremendous power. It is equally easy to reach both Poás and Irazú by car. 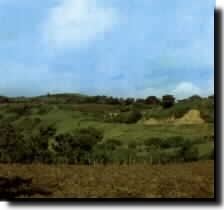 Irazú is located to the north of the city of Cartago, Costa Rica’s former capital. 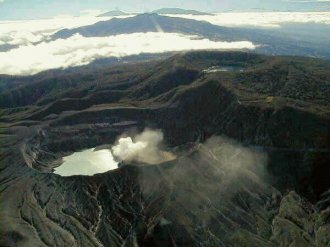 Known for an incredible eruption that took place from 1963 to 1965, -converting Costa Rica’s Central Valley into a strange grey umbrella of ash, Irazú has several craters at its summit. At present, these craters give off oniy light emanations of sulfur trioxide and sulfhydric acid through their fumaroles. 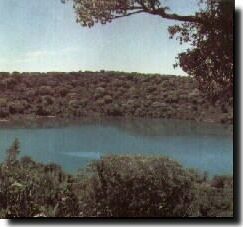 The main crater is more than four hundred meters deep, located on the edge of a desert escarpment. It is accessible by walking across the lunar-like terrain of “Hermosa Beach”, where the visitor is apt to feel like he is trudging along the rocky surface of one of the Moon’s mysterious seas. 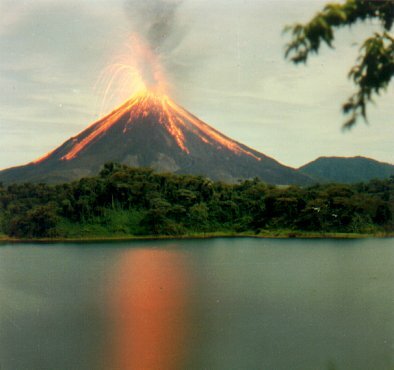 With sixty-eight volcanoes duly classified, Costa Rica offers an unusual biend of landscapes in many regions. One finds areas that call to mind Hawaii, and others that could be carbon copies of the majestic heights of Etna or Vesubius, all emerging from an eternity of green forests, immense, and extremely tropical. A trip to a volcano, besides its more obvious attractions, is very picturesque because, on the way, one travels through areas of matchless beauty, farmlands, and pastures with cattle that reflect the pride of their owners. It is said that only ten people out of every three million of the world’s inhabitants have the opportunity during their lifetime of seeing a volcanic eruption. This statistic is even more startling when you consider that only four people out of every three million ever witness a lava flow. 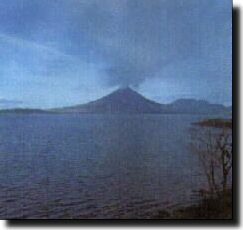 Arenal Volcano is situated in the Guanacaste Range at the southwest end of Lake Arenal. It borders on old forests where members of the Guatuso Indian tribe still live. Traveling by car, one sees the movement of strange streams of andesite lava, meandering toward the north and northwest of the so-called “Crater C” of the volcano. Since its catastrophic explosión of burning clouds in 1968, this Costa Rican volcano has spilled lava on thirty-one occasions from its height of 1,635 meters. At present, the so-called “Stream 31”, which according to recent reports from the OVSICORI at National University, has three arms, moves in a northerly direction, and during the day steaming flows can be seen. At night, these flows turn into a stream of molten gold, moving amidst a cloud of sparks and presenting a truly spectacular sight. 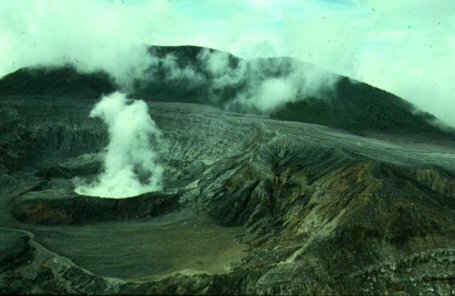 With the help of the Costa Rican Tourist Bureau, local excursión clubs, or obtaining information directly at the National University, interested tourists and scentists can easily reach these volcanoes. It is not only the volcanoes that give Costa Rica’s landscape its great magnetism, but the country’s highest peaks of its mountainous chains. 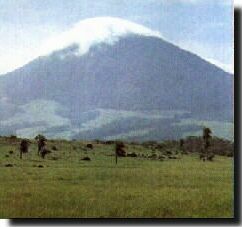 Chirripó Grande is Costa Rica’s highest point and by far the most beautiful mountain peak in all of Central America. 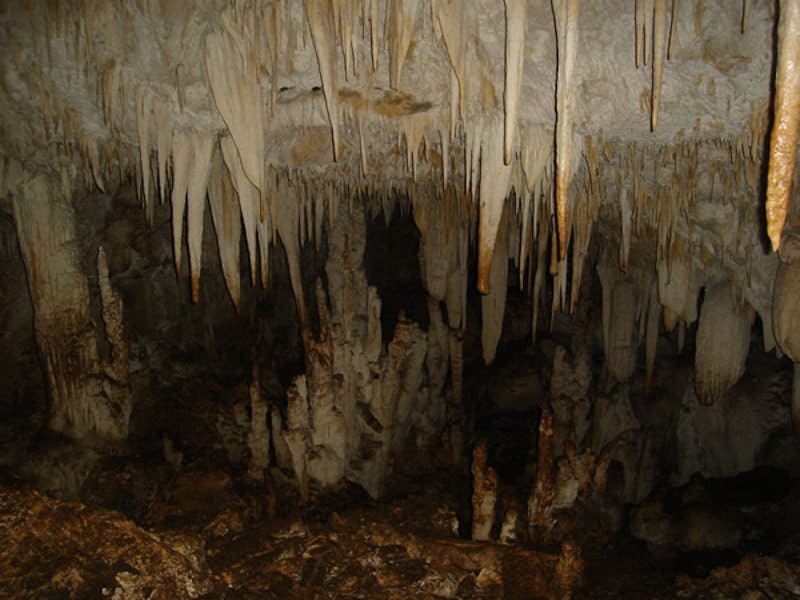 Years ago, a world renowned Germaán geologist Doctor Richard Weyl described vestiges of a former glaciation in Chirripó. According to Weyl, this part of the Talamanca Range was totally covered with ice about 25,000 years ago. Through the throats of its great grey rock peaks, the glaciers broke loose, their icy masses traveling millimeter by millimeter toward the valleys where today one discovers moraine accumulations. The mountain bears many memories of this glacial period: rocks polished by ice, mossy bottomed lagoons, valleys with moraine and at least twenty labes and lagoons that fill holes formed in a remote age over the magmatic rock. Chirripó is like a piece of the Andes. Geologically, climatícally, and insofar as its flora and fauna are concerned, the mountain is Andean right down to the last detail. Tourists who visit Costa Rica can find travel agencies which specialize in organizing trips to Chirripó’s magnificent summit. These trips are made on horseback through dense jungles teeming with tropical plants of all kinds and an infinite varíety of orchids, ending up on the frigid straw-yellow expanse of the Andean plateaus. Surrounding Chirripó, mountain-climbing enthusiasts encounter odd-shaped peaks that present an ever present challenge. Ventisqueros, Urán, Crestones, Durika, Kámuk, Truncado, and Weyl are the names of some of these peaks. They are all over three thousand meters high. There are certain less strenuous alternatives for getting to these places. If you just want a little light exercise, you can drive your car rather close to many of these places and walk the rest of the way. 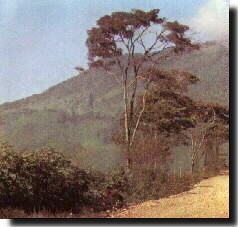 One of Costa Rica’s major peaks is Cerro de la Muerte (Hill of Death) at the highest point of the Inter American Highway which connects Costa Rica and Panamá. 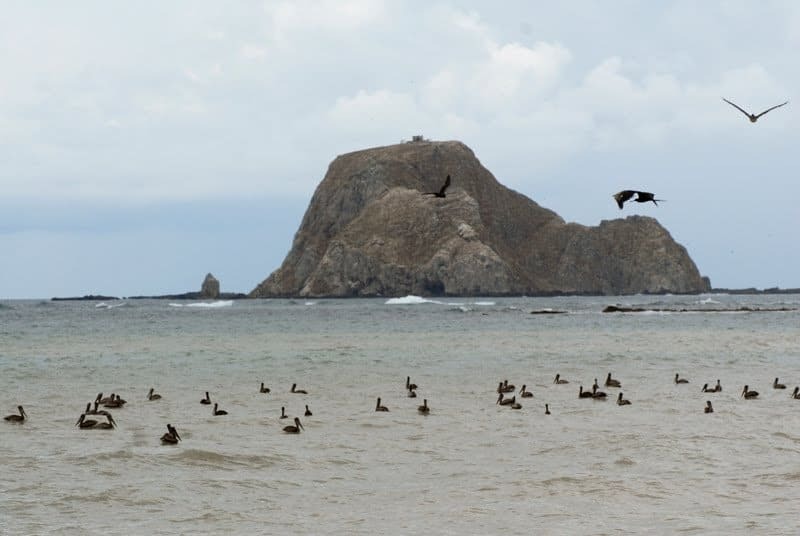 Cerro de la Muerte offers a myriad of opportunities to bird-watchers and those interested in wild animals. The year round, this area is visited by people who come to see some of the finest examples of Costa Rica’s wingedspecies. In addition, they can take in an incomparable view of the Pacific Ocean on one side of the mountain and the Atlantic on the other. 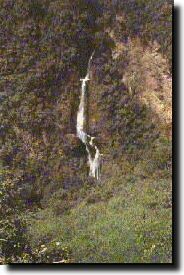 Other mountains that will delight birdwatchers are Cerro de Las Vueltas and El Jaboncillo. Both of these are on the Inter American Highway, emerging from wonderful stands of oak trees. At Ojo de Agua (Eye of Water) there is a roadsíde stand called “Los Chesperitos” where tourists frequently stop to buy blackberries, local foods, and plants. There are some small meadows half hidden among the woods where one can see one of the strangest botánical features in the Americas: the Andean puya, nearly extinct on our continent, and the lomaría that, according to some botanists, date back to the Diluvian Age. 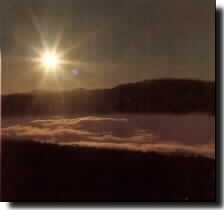 For those who love peace and quiet and dream of the silent contemplation of placid valleys, mountain peaks, forests full of singing birds, and a brisk, invigorating climate, the Costa Rican tourist industry has been developing some special areas in the mountains surrounding the Central Valley. On Monte de la Cruz (Mountain of the Cross) north of San José stands El Castillo (The Castle), a country club that features an indoor ice skating rink, sports fields, an indoor pool, and lots of wooded areas for hiking. There are also hotels In the foothills of the Irazú Volcano near the town of San Juan de Chicuá, in San José de la Montaña, and in Monteverde, the site of one of the most beautiful forest reserves in the country. Here, you can still catch a glimpse of the legendary quetzal bird with its wings fluttering in iridescent beauty. For its scenic beauty, its proverbial peace, the democratic climate that one senses, the ease in meeting people and establishing contacts, for the total lack of red tape, the mountains of Costa Rica are the most accessible in all of Central America. Besides the Costa Rican Tourist Bureau, we recommend contacting the following groups and organizations: The Instituto Geográfico Nacional (the National Geographic Institute), Club de Montañeros de Costa Rica (Costa Rica Mountain Climbing Club), Club de Alta Montaña de Cartago (Cartago High Mountain Club), OVSICORI at the National University) and SINAC (National Parks).